The standard AT-cut, 1 in. (25.4 mm) diameter crystal, pioneered by INFICON, is used primarily in research applications with the INFICON RQCM (Research Quartz Crystal Microbalance). 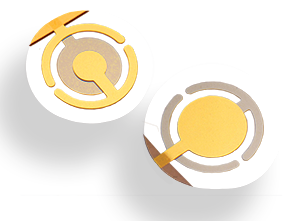 These research crystals are designed for use with INFICON’s rugged, easy to use crystal holders and are used for in-situ monitoring of deposited films or liquids.